I first started using the TronScan web wallet back when I first started participating in the daily Delegated Proof of Stake ‘airdrops’. But I ended finding and decided to move to the TronWatch wallet for storage. Mainly because desktop wallets are more secure, and I enjoy the interface more. I just found it to be more user friendly. I am still using TronScan however for it’s DEX [decentralized exchange] which trades the TRC-10 / TRC-20 tokens that you can earn by participating in Tron’s delegated proof of stake [passive earning] process via the TronWatch wallet. I will provide a video about the Tronscan wallet and DEX in a future blog post. Earn money passively on a daily basis [similar to interest or dividends] just by holding your Tron investment or longer term trade. This is a powerful option because it lets you earn a residual income by holding Tron off of the exchange in a Tron Wallet. 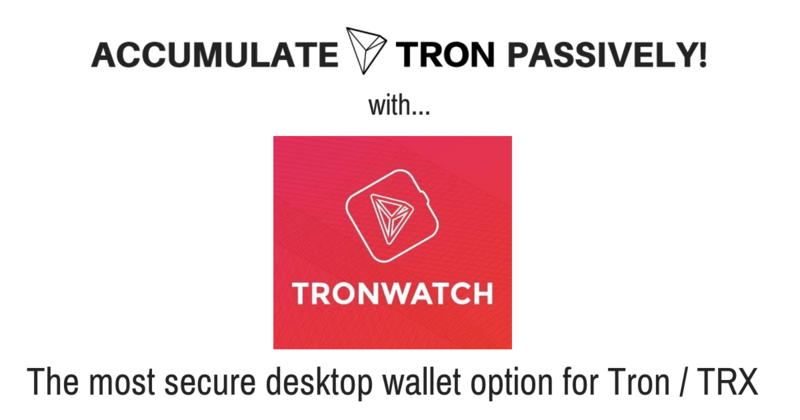 In this video I will show you how to use the TronWatch wallet to freeze your Tron and which Tron super affiliate you can vote for with your Tron Power to earn free tron / TRX and tron based tokens daily! TronWatch is also supported by the Ledger Nano S cold storage / hardware wallet, for access. I hope you enjoy this passive earning crypto training! It’s all about creating as many legitimate forms of passive income in your life as you can. And cryptocurrency happens to offer quite a few solid passive earning opportunities that my mastermind is on top of regularly… but don’t worry, I am going to be dropping more golden nugget crypto trainings to to the rest of you as soon as possible… because I want to see you have real success with the crypto markets and change your life! Hello my friend! It's been a minute, but I thought you'd find this article very interesting so just forwarding the info along to you. 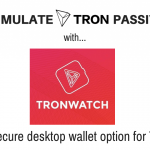 The article is called TronWatch Wallet: How To Use Tron Power To Earn TRX Passivelyand is located athttps://www.meetcalebwright.com/tron-trx/tron-watch-wallet-how-to-earn-trx-passively-with-tron-power/. Let me know what you think!